The intricate, contrasting, wood carving designs on the base and under the top rim of this handcrafted dresser are examples of the advanced skills of our wood carvers. The dresser has a solid wood base, and the base is embellished with dark stained, ornate, hand carved, floral and scroll designs. 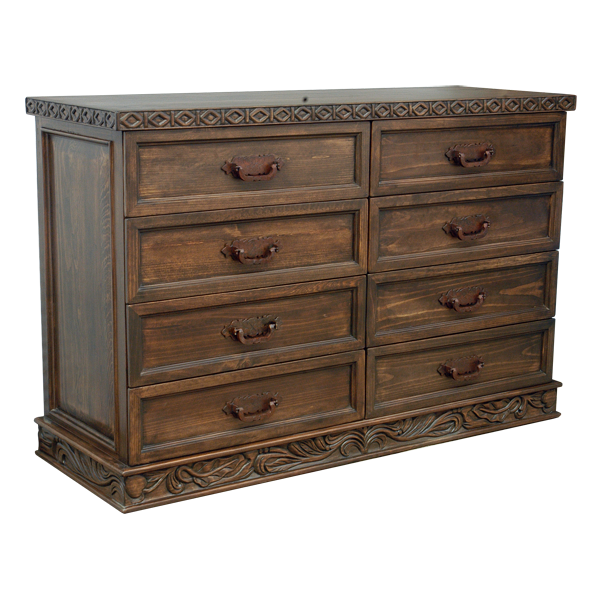 This Western style dresser has an open, wide top, and its top rim is adorned with exquisite, hand carved, geometric designs. The dresser has eight, spacious drawers, and centered in each drawer is a hand forged, iron handle. Both sides of the dresser are enhanced with a decorative, geometric cut panel. 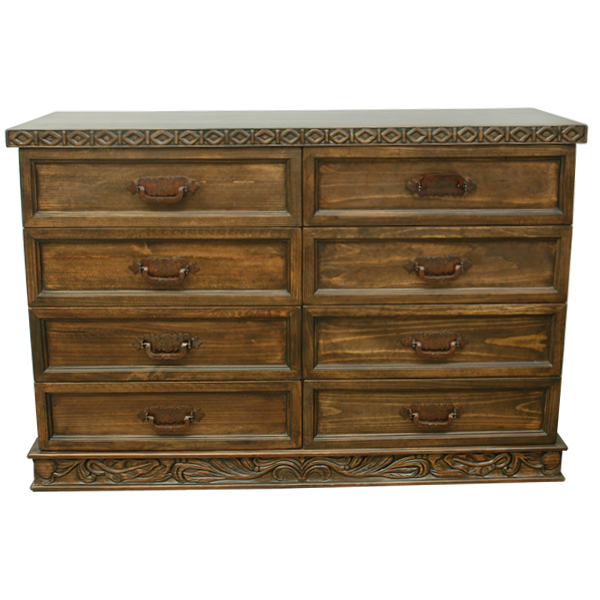 The dresser has a beautiful, antique finish, and it is made with the best, sustainable, solid wood available. It is 100% customizable.